Centipede how do you slow down? I have a good mame game of centipede.... but the ps3 controller is way to touchy..... is there a way to slow it down ? If you are dead set in using your PS3 controller (or until you can get a trackball cause they are pricey), then you could this. 1) When you launch the game and press P (pause the game) , and then TAB for the menu. 2) Now choose Analog Controls. 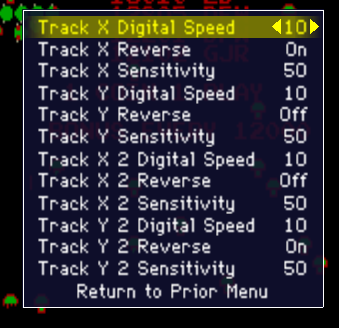 3) By default, MAME has this at the highest sensitivity, so you will need to play with the settings here until you get the sensitivity you want. Now keep in mind that this could be a global change for all trackball, and spinner games. Re: Centipede how do you slow down? So I guess this worked??? Been nice for the guy to follow up after posted this for him.